Animated stars and cloud formations! Fill any dark space with a super sharp spectacle. You'll even see an occasional shooting star! Adjustable and requires no set up. Fills the tiniest bedroom to the largest warehouse! Fill any dark space with a super sharp spectacle of animated stars and cloud formations. It will even surprise you with the occasional shooting star! 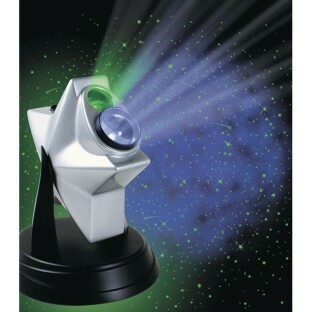 Created from powerful green laser and holographic technology, Laser Twilight is adjustable, requires no set up and fills any room from the tiniest bedroom to the largest warehouse with a crystal clear animated star display. Auto shut-off after four hours. Modes include Stars only, Clouds only or both!